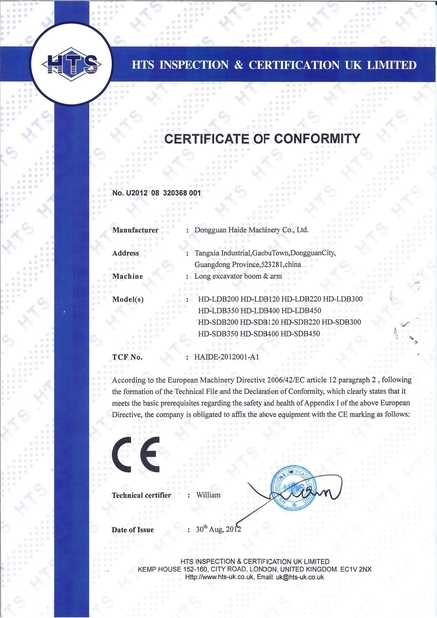 We have many years experience in designing and customize the dock ramp as per customer’s requirement. This 4 legs mboile yard ramp is different from our standard ramps,we customzied it as customer's loading&unloading condition. - Four hydraulic retractable leg help to sustain the passage of heavy load during operation,also can keep balance in loading&unloading. 1, Two moveabble lip design facilitate the free lateral floating when the truck box floor move up and down. 2, Two solid tyres provide excellent traction without worry of puncture. 3, The steel structure has been sand-blasted and the painting has been baked under 170℃ temperature,ensuring the maximum painting adherence and be free of rusting. 4, The end bracket enable our dock ramp to be towable by forklift. 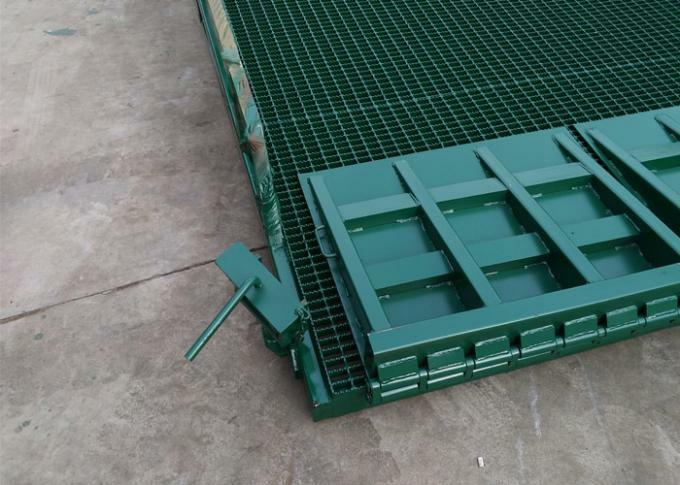 6, Steel grating on the slope floor prevent the forklift from slipping back during operation. 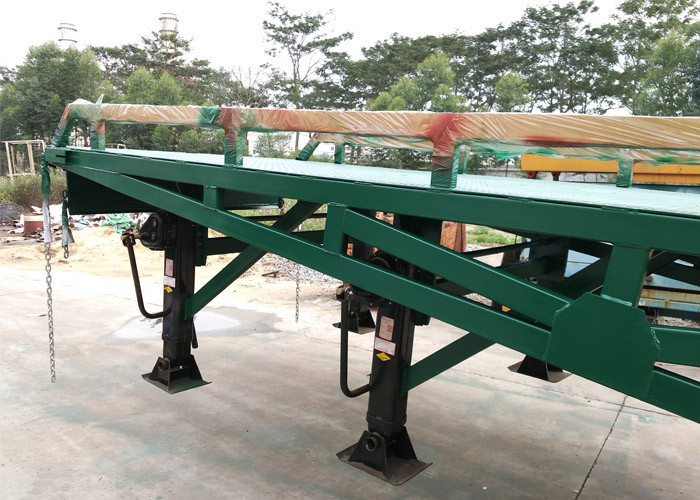 7, Top flat table is made of anti-skid steel plate. 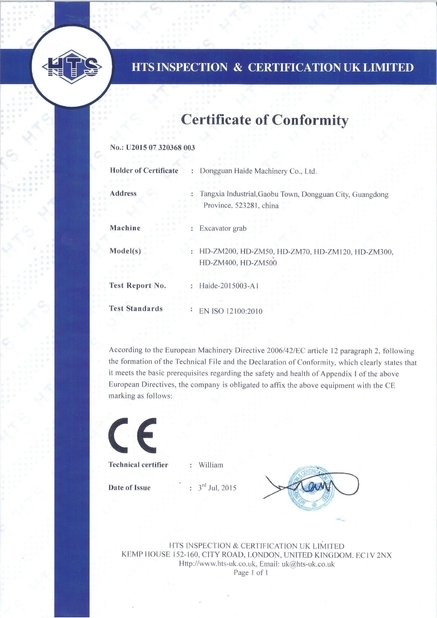 8, We use Italy “Oiltec” hydraulic pump(optional) and it enable our yard ramp to be operated manually with great ease, eliminating the need for electrical operation. 9, Tapered lip edge provide a smooth transition between container and ramp. 10, Two safety chain secure the fixing between ramp and truck box. 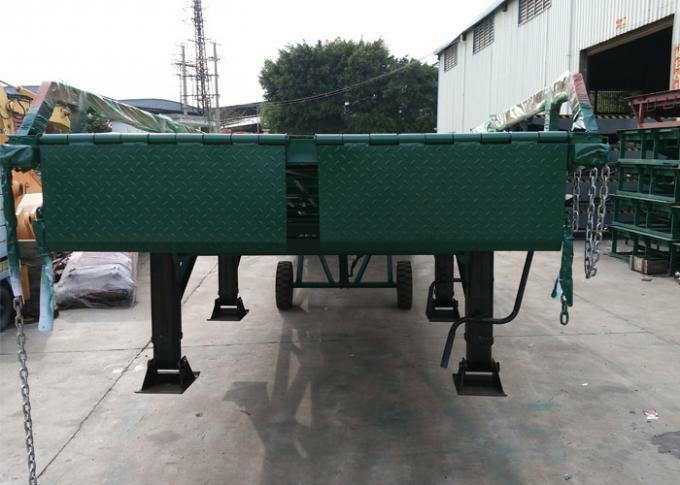 11, Hydraulic pump adjust the ramp to the desired position. 12, Guard rail(curb) provide safety and direction for forklift movement. 13, Can be 3-side loading or 2-side loading by adding lip on sides. 14, Two rubber bumper absorb the shock between truck box and ramp. 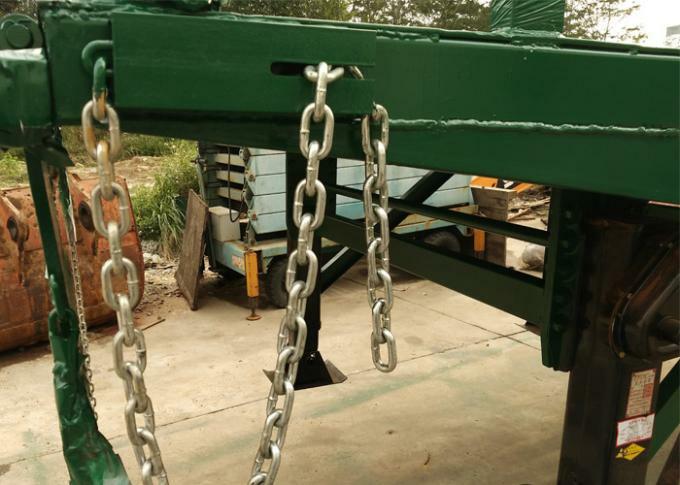 15, Have lock chain to lock the ramps to container&truck in loading&unloading. 2, bigger front platform is better for loading&unloading big size cargos.